Looking to rejuvenate your wardrobe? 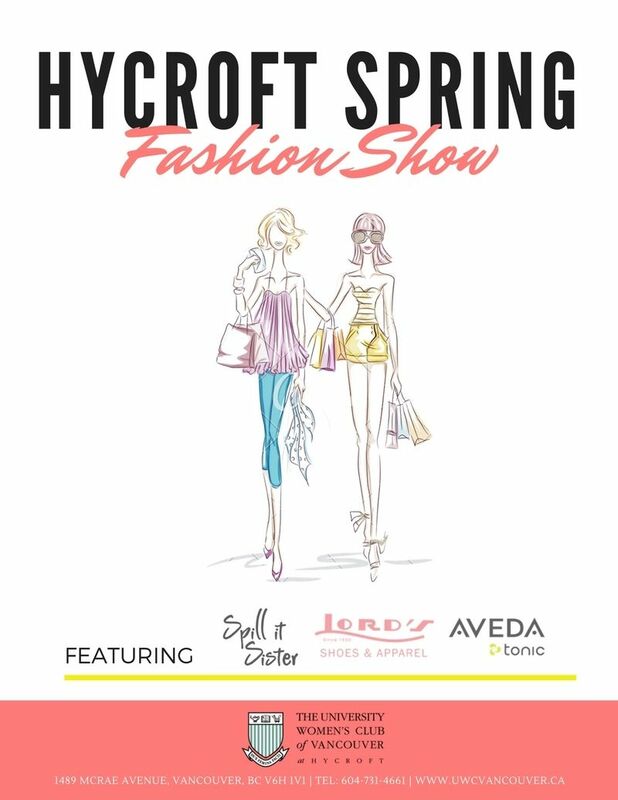 Come get inspired at Hycroft’s annual Spring Fashion Show! Enjoy dinner and watch as our glamourous UWCV models showcase top new arrivals from Spill It Sister, stunning footwear from Lord’s Shoes, and expertly done hair and make-up from Aveda Tonic. Don't miss out on one of The University Women's Club of Vancouver's most popular events, register today!